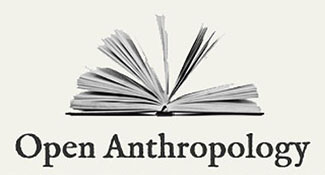 With more than 20 titles published in print and online, AAA is the largest single publisher of anthropological journals. For information about our publications, click here. To read our Claims Policy, click here. To read our Examination Copy Policy, click here. Looking to donate a collection of books or journals? Click here. 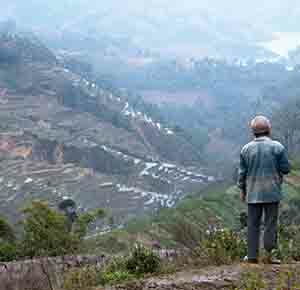 24/7 access to scientific research information across the field of anthropology. 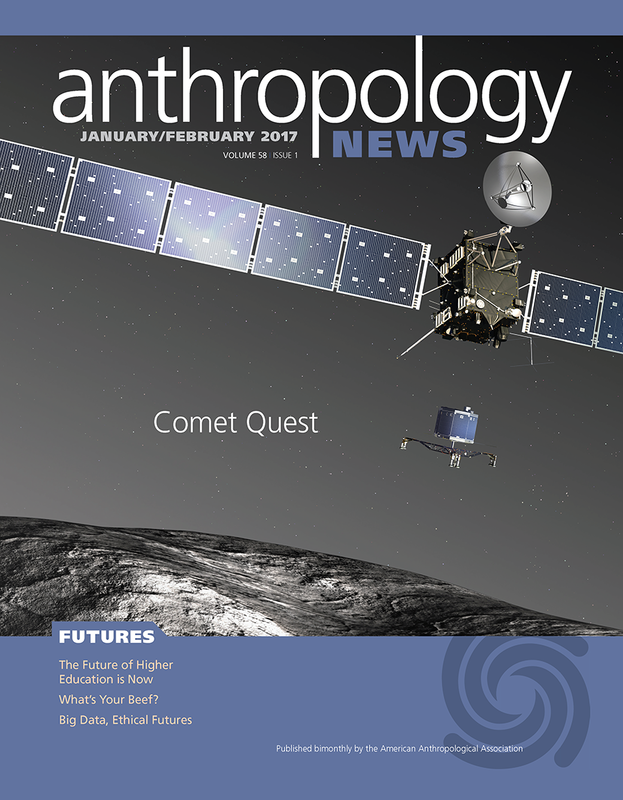 Anthropology News (AN) is the official news source of AAA, and is published continually online at www.anthropology-news.org and bimonthly in print for AAA members. All members receive six issues a year as a benefit of membership. PDF versions of the print issues and archived content from AN online can be accessed through AnthroSource. For library and agency subscriptions, click here. American Anthropologist is AAA's flagship journal, reaching well over 12,000 readers with each issue. The September 2018 issue features ten research articles, a Vital Topics Forum on "Anthropology as Bearing Witness," a special World Anthropologies section on medical anthropology, seventeen book reviews, and more! Open Anthropology is the digital-only, public journal of the AAA. Interested in joining the directory? 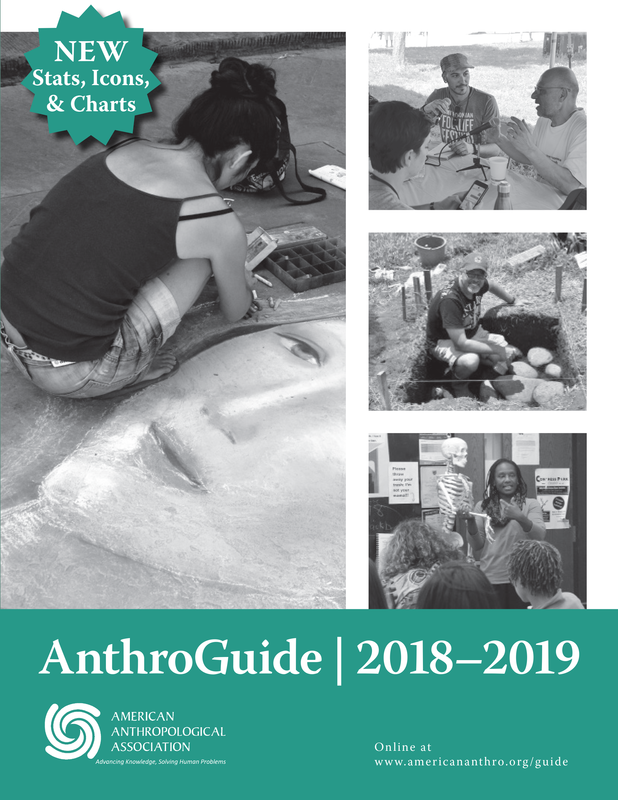 Reach out to us at guide@americananthro.org.